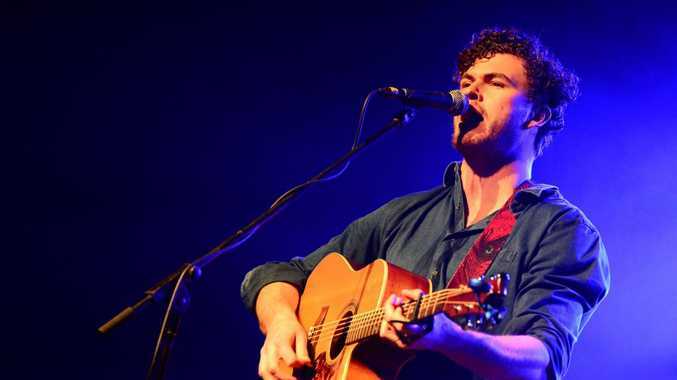 Vance Joy has topped this year's Triple J Hottest 100 list with his song Riptide. A swell of public support helped the Melbourne singer songwriter, real name James Keogh, beat Kiwi teen sensation Lorde to take out the top spot in the listener-voted poll. Riptide is the second single off Vance Joy's debut EP God Loves You When You're Dancing, released in March last year. British rockers Arctic Monkeys had three songs in the Top 20, including their No 4 hit Do I Wanna Know? More than 1.4 million music lovers voted this year in the annual music poll, which was first held in 1989. The reaction on social media was mostly positive, with some listeners expressing surprise Lorde did not claim the top spot. 6. Arctic Monkeys - Why'd You Only Call Me When You're High? 9. The Preatures - Is This How You Feel?